As a Carleton student, you will choose from courses that cover the past, present and future of media; the uses and abuses of technology; the economics, politics and regulation of communication; the media in local and global contexts; the interface between culture, communication and identities; and the analysis of texts, images and rhetoric. Integrating study with practical experience is a powerful formula for creating the media and communication professionals of tomorrow. At the end of your second year, you may be eligible to be placed in a paid communication-related position for four to twelve months. Past employers have included the CBC, the Department of Canadian Heritage and the Canadian Radio-television and Telecommunications Commission (CRTC)—the independent agency responsible for regulating Canada’s broadcasting and telecommunications systems. In addition to working in government agencies, students have also benefited from employment opportunities with technology companies, ad agencies, independent media companies and NGOs. Carleton University’s prime Ottawa location places you at the centre of Canadian decision making about communication and media policies and regulations. Ottawa is a window to the world: it’s bilingual, vibrant, and is the centre of public life in Canada. Studying in the capital city also provides you with access to government policy-makers, public and private agencies, non-governmental organizations, cultural institutions and world-class research facilities. 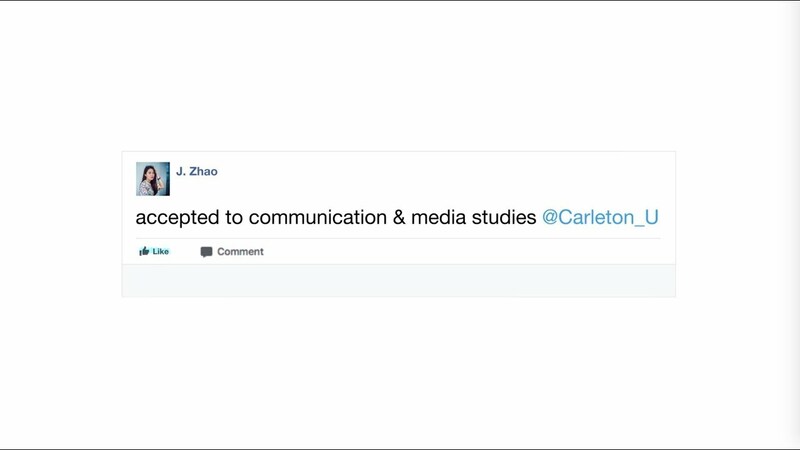 The Communication and Media Studies program at Carleton (previously the BA in Communication Studies) is offered as an Honours program. All students in the program are required to take the Introduction to Communication and Media Studies course in first year, which is designed to orient you to the questions and issues that are the central concerns of the program and which become fully elaborated in your upper years. In second year, every student will take Introduction to Communication Research. This course provides you with a strong foundation in methodological literacy: what are the common approaches to research that have shaped the field of communication and media studies? How do you design an original research project? What are the common ethical dilemmas that face communication and media researchers today? Students will also take Theoretical Foundations in Communication and Media Studies. This course builds on the foundational concepts introduced in first year, and focuses on the field’s major “schools of thought.” It also provides students with a theoretical foundation for understanding the development of communication and media practices, institutions, technologies and regulations, which will prepare them for upper-year courses. In third year, you will take a small number of required fundamentals courses that cement your expertise and knowledge of the field. Current Issues in Communication and Media Theory explores major theoretical issues with which the field is grappling today. You will also take Quantitative Research in Communication and Qualitative Research in Communication, which builds on the second year “methodological literacy” course. Your remaining credits will be selected from a wide variety of exciting third-year courses. The choice of courses varies from year to year but will typically explore key issues such as the impact of advertising, marketing and public relations on politics and public life, visual media and communication, globalization, digital technologies, political communication, and media industries, policies and infrastructures. In fourth year, you will select one course from a menu of hands-on professional workshops that will prepare you for the job market today. Options include workshops in digital media practice, for example in podcasting or digital photography; data mining and analytics; professional writing and public speaking; public engagement and consultation; and event management and community partnerships. Other courses address a range of topics that reflect current and cutting edge debates in communication and media studies. First-year BCoMS students are encouraged to include a Firstyear Seminar (FYSM) in their first-year course load. First-year Seminars will get you away from the lecture hall and give you the chance, in a small class setting, to discuss and debate topics with your classmates and professors. You will also get early and frequent feedback on class assignments and instruction in research, writing and study skills. You can combine Sociology, Political Science or most other BA disciplines with Communication and Media Studies for a Combined Honours degree. Students in the Bachelor of Journalism program can combine their studies for a Bachelor of Journalism Combined Honours with Communication and Media Studies. If you are pursuing a BA (General) or BA (Honours) in another discipline, you may choose to complete a minor in Communication and Media Studies. Students who enroll in the Bachelor of Global and International Studies (BGInS) program have the option of selecting a specialization in “Global Media and Communication.” This will provide you with access to a suite of courses in the BCoMS program that focus on key issues, events and debates relevant to global and international studies of media and communication infrastructures, policies, and practices, and how they shape politics, social networks, communities and identities. Careers in communication and the media industries are rapidly expanding. Our graduates have rewarding and productive careers in a variety of fields, from advertising and public relations to law, market research, policy development, teaching and more. They work as political advisors to members of parliament; communication strategists with state agencies, NGOs, and corporations; entrepreneurs; and media industry and cultural policy analysts. As a graduate of our program, you will have a solid foundation from which to intervene critically in discussions about the media, its impacts in and across a variety of sectors, and the role communication plays in fostering a more just and equitable society. Graduates of our Honours programs are generally well qualified to go on to graduate studies in a variety of fields, including communication, information science, science and technology studies, sociology, anthropology, public policy, legal studies and political science. If you think that you may wish to pursue an advanced degree, you are encouraged to investigate graduate programs early to ensure that your program is suited to meet the relevant graduate-level requirements. Many professional programs, including law, teaching, and business (MBA), encourage well-rounded applicants from a variety of backgrounds to apply. Communication and Media Studies provides a strong foundation for such programs, and you are encouraged to pursue interests you may have in these fields after completing your undergraduate degree in our program. My interest in the field of public relations quickly led me to discover the Communication and Media Studies program at Carleton. 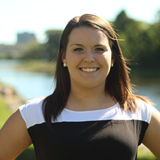 The university’s self-contained campus is the perfect place to study, and the co-op program has allowed me to combine academic training with paid, hands-on work experience. My placements in both the government and private sector have given me experience writing press releases, creating search engine advertising campaigns, and evaluating social media advertisements. Thanks to the skills I gained in the Communication and Media Studies program, I hope to pursue a career as a strategic communications consultant. Watch: Communication and Media Studies – What will your future look like?